“Two people making a commitment of marriage want to remember the day for the rest of their lives. Shouldn’t the wedding photography that commemorates their celebration reflect the personal moments and honest emotions they will remember? After 20 years as a daily photojournalist, including 11 years at the Chicago Tribune, I am thrilled to belong to an organization that is dedicated to pure wedding photojournalism. Nothing is staged or manipulated, just the way it should be. These moments are real! 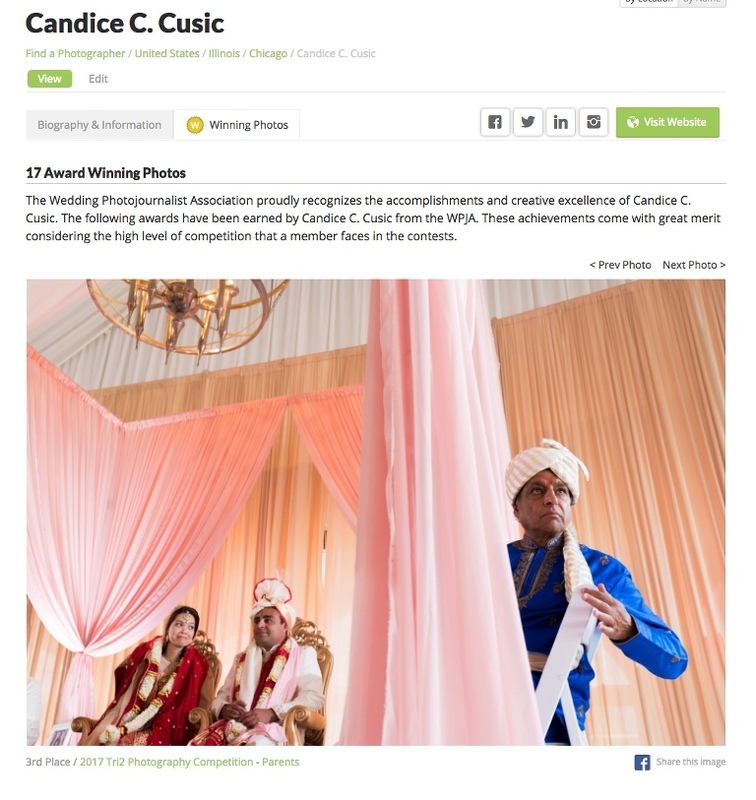 The first winning photo is from Angie and Jai’s wedding, and placed 3rd in the Parents Category. I love the colors, the tension and the mystery around this moment. The second winning photo is from Samantha and John’s courthouse wedding. I love this simple moment of them waiting to get married, there’s something so cute about this moment! 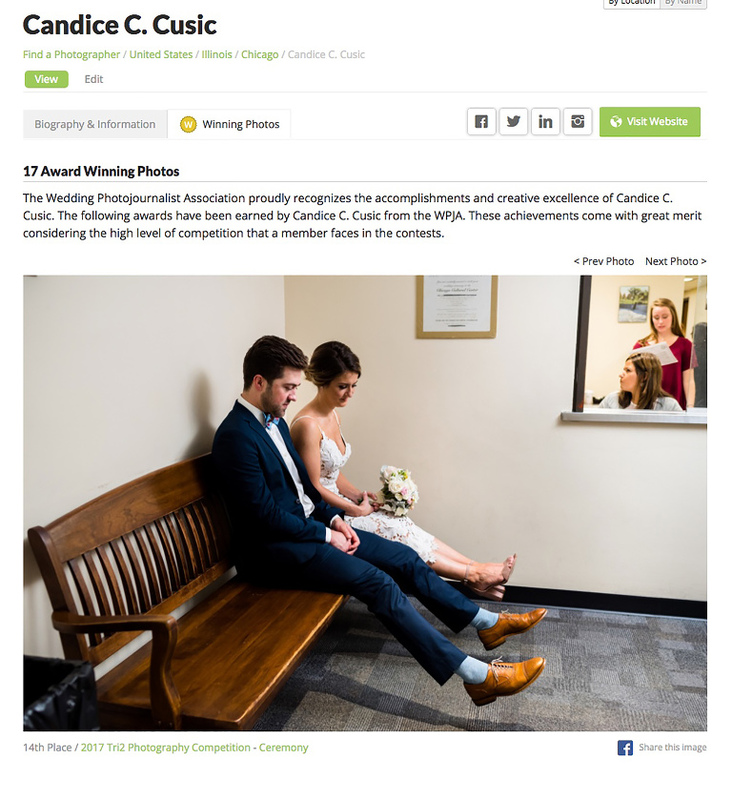 Thanks so much to the Wedding Photojournalist Association for these awards and for ranking me #1 in Chicago wedding photographers! Check out my other award-winning photography here!